Sales and Marketing teams should be closely aligned. If your Sales and Marketing teams are talking to each other daily, then stop reading this post and put a daily standup meeting on the calendar. If you are an SDR or a SDR manager, it is critical that you know that Sales and Marketing need to work in tandem. When I say work together, this is not only for sales/marketing promotions and events but throughout the entire lead and sales process. Without constant feedback and communication, your team is probably wasting lots of money, time, and resources. Everyone can write the lead flow on a whiteboard of MQL -> SQL -> [Salesforce status], but are your teams really working together? Is marketing learning from sales and vice versa? 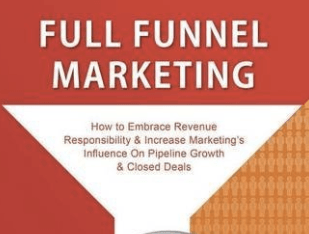 If you want to spend 2–3 hours and learn these processes the right way, download Matt Heinz ‘s book Full Funnel Marketing For Free. The book is packed with tips on how to align marketing and sales and Matt does a great job giving examples of how to put those strategies into action if you run a marketing or sales team. If you do one thing this week, read this book, it will give you 5-10 actionable items on how to make own process and hopefully your team that much better.